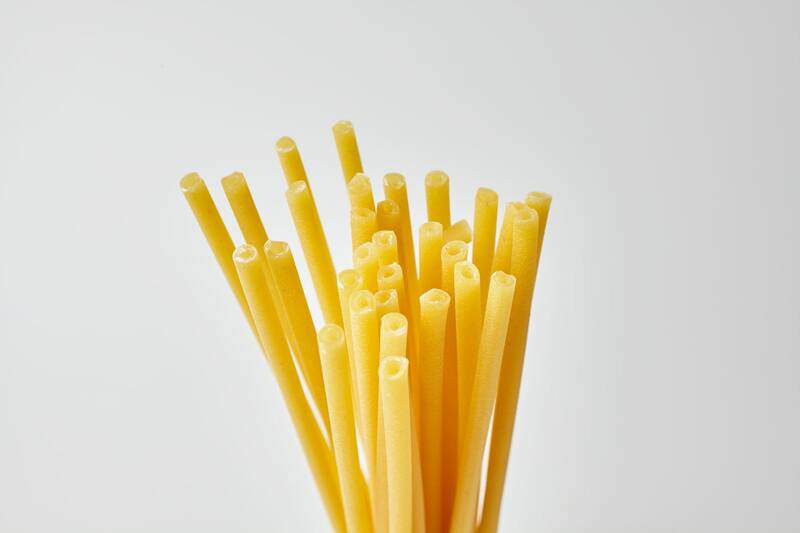 Imagine big thick bucatini and you have mezzanelli, a wonderful pasta shape with a full rich mouthfeel. You can enjoy them whole or broken up into halves or thirds. They are delicious in a simple dish of Piennolo Tomatoes and pancetta. Pasta Faella is crafted according to tradition in the legendary birthplace of Italian dried pasta, Gragnano. This pasta is real Italian pasta at its best. When cooked, this pasta fills the room with the intense aroma of freshly baked bread and toasted grain. Its slightly rough, porous texture creates an ideal surface for collecting sauces, and its consistency is firm and chewy - just be sure to cook it al dente to fully savor its flavor and texture! The hard durum semola flour used to make Mezzanelli Faella is 100% Italian semola di grano duro.